Gary Portell-trained Dio D’Oro (right) will contest the Group Three San Domenico Stakes at Rosehill. She Will Reign has had her farewell party at Gary Portelli’s stable but the Darby Racing colours will be on display when Dio D’Oro returns to the track in the San Domenico Stakes at Rosehill. 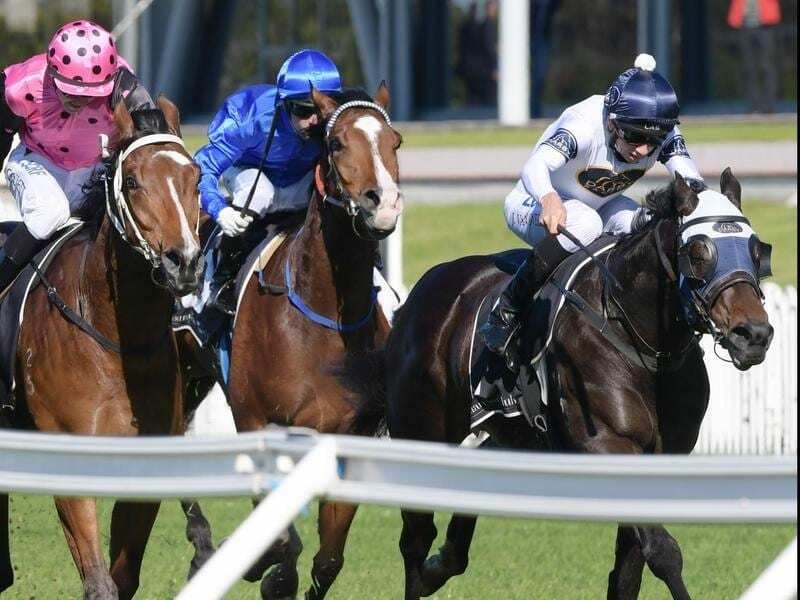 Darby Racing pulled the pin on She Will Reign’s final Australian campaign after one unplaced run in the Missile Stakes and the 2017 Golden Slipper winner will head to her new owner in Japan to be served by Deep Impact in the northern hemisphere season. Dio D’Oro didn’t make it to this year’s Slipper but found form on wet tracks with three wins in June and and Portelli hopes he can convert that to the spring. The colt is one of 11 entries taken on Monday for Saturday’s Group Three San Domenico (1100m) which include Sandbar, winner of the new season’s first stakes race for three-year-olds, the Up And Coming Stakes. “He was a nice two-year-old on wet tracks and I’m keen to see if he can convert that as a three-year-old on dry tracks,” Portelli said. Portelli is expecting improvement from Exceltic in the Ming Dynasty Quality (1400m) with the colt unplaced in two starts this preparation over 1200 and 1100 metres. “The 1400 metres looks ideal for him,” Portelli said. While he has high hopes for the two three-year-olds, Portelli has a soft spot for Testashadow who runs in the other stakes race on the program, the Group Three Premier’s Cup (1900m). Now a seven-year-old with 46 starts and $1.36 million to his name, Testashadow has yet to win beyond 1600m but his trainer believes he will appreciate the distance now he is a bit older. “As he gets older he is also getting more dour so I think the 1900 will suit,” Portelli said. Testashadow finished fifth in the Prelude behind Harper’s Choice, Emperor’s Way, Mighty Lucky and Carzoff who are all among the 25 entries for the Cup.